Should you cancel your LSAT score? With the February 2013 LSAT done and over with, many test-takers will be looking at their haggard faces in the mirror and asking themselves, “Should I cancel my score?” If you find yourself amidst their numbers, don’t worry–you’re definitely not alone. First off, let me start by saying that it is very common for LSAT-takers to second-guess themselves and fret–almost from the moment they exit the testing center–about how they did on the test, what their score might be, which questions they got right and wrong, and if they should cancel their score. You suffered from extreme test anxiety (sometimes manifested by extreme distraction, panic, cold sweats, nausea) during the test. You took the exam “cold” or didn’t prepare for it very well. You were ill during the exam, or became seriously ill during it. You know for certain you mis-bubbled a section. You were unable to complete the test, or had to leave during it. You are convinced that something just went very, very wrong during the test. The situations that can lead you to consider cancellation are various and varied. One of the first things we tell students to do is evaluate their performance. Many think this is not possible; however, with just a little bit of time and some careful analysis, it is definitely possible to put together relatively accurate best- and worst-case scenarios about an LSAT performance. Analyze the LSAT you just took very carefully. This can be hard to do, particularly in the immediate aftermath of the test, but it can prove to be very useful when attempting to determine your overall performance. Start by writing down the sections you had, and the order you had them in. Once you’ve written down the sections in order, try to recall how many questions you were able to intelligently analyze and answer, and how many you just hazarded a guess on. Determine which sections where the hardest for you, and which specific parts of the hardest sections gave you the most trouble. Was there a specific logic game that you really struggled with? Was there a reading comprehension passage that stumped you? Don’t let your feelings about a type of question or the LSAT as a whole cloud your judgment. Instead, consider each section in a manner than is as analytical and question-specific as possible. This kind of almost-impartial breakdown of the test will be invaluable when you are trying to determine your overall performance. Try to determine the experimental section. Again, this is something that many think is not possible, but it can definitely be doable in many cases. The PowerScore website has a great breakdown and explanation of what the experimental section is, how it is used, and how you can figure out which section in your LSAT was the experimental one. Click on this link to read the article: PowerScore Free LSAT Help Area: The Experimental Section Explained. Create a best-case and worst-case scenario of your performance. Once you have determined how you feel you did on each of the four scored sections of the test, it is time to translate that into a numerical score range. We say “range” because it will be impossible for you to determine exactly how many questions you answered right or wrong in a section, but you can definitely establish a general scoring range by figuring our your best-case and worst-case scenarios.► To create a best-case score scenario, think back to each section. As objectively as you can, determine two numbers for each section: (1) The approximate number of questions you felt very confident about, and (2) The approximate number of questions you felt okay with, but weren’t 100% sure of the answer. Add the first number and 75% of the second number together. Do this for each section. That will give you a raw “best-case” number. ► To create a worst-case scenario, determine the same numbers for each section, but only add 75% of the first number and 50% of the second number. Do this for each section and then add all the numbers together. This will give you a raw “worst-case” number. ► Once you have your best-case and worst-case raw numbers, you need to determine what your score range is when converted to the LSAT 120-180. Although you will not have the range for the actual range you took, you can use past LSATs’ scoring ranges to help you, since raw scores usually fall around the same numbers. Take your raw numbers and plug them in to a historical LSAT range. You can find one on the PowerScore website by clicking here: PowerScore’s Historical Range of Correct Answers for Targeted Scores. Think about how you did on your practice tests. Use your knowledge of how you felt and performed on the practice tests leading up to the test, and compare them to how you feel you did on the LSAT you just took. Don’t forget to be objective–of course you likely felt more nervous, more anxious, less secure about the “real” LSAT you just sat for. That’s only natural. Don’t consider your feelings–be objective and consider your performance. Did you feel the questions were harder? Easier? This can also help you see if the best- and worst-case scenarios are accurate. If, for example, in your final practice LSATs you were scoring between 160 and 163, you felt that the “real” LSAT you just took was easier, and your best- and worst-case numbers put you at a 162-166 range, then you’re probably right on target. The same goes if you feel it was harder than your practice tests, or about the same. Combine all this information to ensure your analysis and range are in the right area. Consider which scores you would feel comfortable with. Are you applying to schools where you need to score above a 155 to really feel comfortable? Do you feel you need at least a 160? A 165? A 150? If you don’t know what ranges your schools are looking for, a great resource is LSAC’s Official Guide to ABA-Approved Law Schools. They provide the 25th and 75th percentile LSAT scores for the prior year’s incoming class for all ABA-approved schools, and you can use that information to determine where your score should be. Once you have those percentiles in hand, determine which LSAT scores you would feel most comfortable with, and which LSAT scores you think would best improve your chances of getting into the school(s) of your choice. Don’t forget to think about your past official LSAT performances. If you have multiple cancellations or absences on your LSAT Score Report already, then you need to think long and hard about having yet another cancellation on your record. Multiple score cancellations or absences may signal to AdComs that you are unable to handle the stress of a lengthy timed test (which, when you consider how intense and long law school finals are, doesn’t bode well), or that you don’t take your test-taking seriously or don’t prepare adequately (which also doesn’t bode well). Also, if you already have one or more other scores on your LSAT Score Report, take a moment to carefully consider what the effect of this additional score may be: Is it higher than what you’re got already? Lower? The same? Although schools are not required to take the average of all scores in an LSAT Score Report, the average is still reported, and schools can see both the average as well as the scores for every single LSAT you’ve taken in the last 5 years. Consider how this new LSAT will affect your overall report, and whether it will have a positive or negative effect. Once you’ve followed all the above steps, it is time to make a final decision. You have six calendar days from the day you took the LSAT to let LSAC know if you want to cancel your score. Consider your best- and worst-case scenarios, your past performances (and how you feel the “real” LSAT stacks up to them), the score that you feel you must have, and how your current Score Report looks, and decide. Don’t feel that you must do this immediately upon taking the test. As mentioned above, you have six calendar days to cancel your score, so you have some time. However, don’t put off doing your analysis until the last minute, and make sure that, should you decide to cancel your score, you follow the steps detailed by LSAC to cancel your score. You’ve decided to cancel. Now what? Make sure you carefully read the specific procedures that need to be followed to cancel your score. You can find these on the LSAC.org About Your Score page. If you have any–any–questions about the process or what you need to do, contact LSAC at 215-968-1001. Do not email them and wait for a response–call them. Will schools be able to see that I cancelled my LSAT score? Yes. Your Law School Report will reflect that the score was cancelled at your request. Can I get a refund if I cancel my score? No. LSAC gives no refunds for cancelled scores. If I cancel my score, will I still know what I got? No. You will never know how you actually scored on the test. Will I still get a copy of the test questions if I cancel my score? It depends. If you took a non-disclosed test (i.e., any February administration, a Sabbath Day Observer administration, or an LSAT administered at a non-published test center), then you will not get a copy of the test questions. However, if you took a disclosed test (i.e., all standard administrations of the June, September/October and December test), then you will get a copy of test questions. However, you will not receive a copy of your answer sheet. What happens if LSAC doesn’t cancel my score after I asked them to (in writing, with a signature, on the appropriate form, etc.)? LSAC is very good about notifying students once cancellation requests are processed. They will mail out a confirmation to you once they do so. If you do not receive one within four calendar days after you submit the request, contact LSAC immediately. You will need to submit proof that you sent the request in on time–this is why keeping fax transmittal sheets, USPS/FedEx/UPS delivery confirmations, etc. is very important. If you can’t produce proof that you sent your request at or before the six-calendar-day deadline, LSAC won’t cancel your score. Should You Work Backwards in Logical Reasoning? Should You Do Warm Up Questions The Morning Of The LSAT? Jail Time for Claiming That Drinking Water Helps Prevent Dehydration? Are You There, Test Taker? It's Me, the LSAT. Which LSAT Administration is the Hardest? 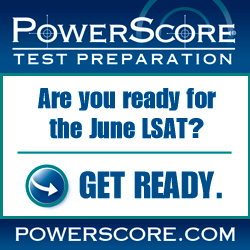 Is the June LSAT really the hardest LSAT? Which LSAT Should You Take? Should I Study On My Own Before Starting an LSAT Course? LSAT cancellations, withdrawals, absences: What's the difference? My LSAT Score Just Dropped. Now What? Older LSAT Scores--How Are They Reported? The LSAT: A Perfect Predictor of Law School Success? Should You Avoid Older LSATs? What kind of testing accommodations can you get for the LSAT? Are you making these 3 LSAT prep mistakes? Should you take the February LSAT? Is there a limit to how many times you can take the LSAT? Is it worth it to retake the LSAT? Why does the LSAT test what it tests? It is okay to skip questions on the LSAT? Can you tell which section on the LSAT is the experimental one? What's the hardest LSAT administration? What do you do when you've already done all available LSAT questions? When will December 2012 LSAT scores be available? What can you bring to the LSAT?